Canada's Coast Hotels has launched a short promotion where you can double Coast Rewards points on all stays at their locations in Canada and the U.S.. This offer started yesterday and runs only until January 30. 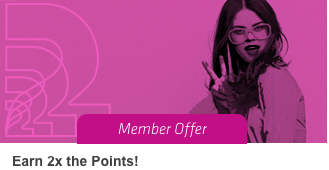 Coast Rewards points convert 1:1 to Aeroplan or Alaska Airlines Mileage Plan with a minimum transfer of 1,000 points.